The game is a crowd game. Everyone plays. 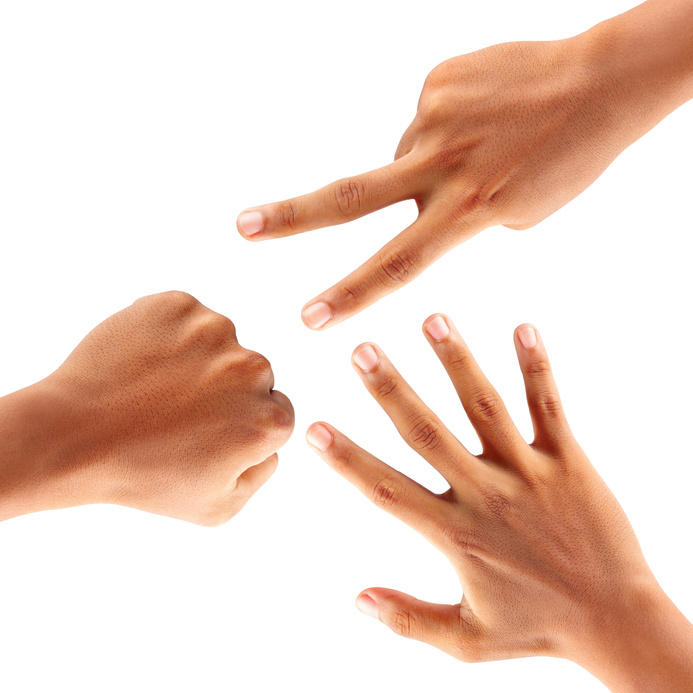 You tell everyone to grab a partner and play rock, paper, scissors– best two out of three. The winner moves on to battle someone else. The loser becomes their fan! The fan must cheer for their winner in the next battle. Then, of course, after the next two battle, the winner will have three fans as he/she moves onto the next battle. Then seven fans… etc. Eventually half the room is cheering for one person, and half for the other (kind of like Ro Sham Bo Train). A great quick game with literally no prep. In fact… here’s a list of my TOP 20 Game Ideas!